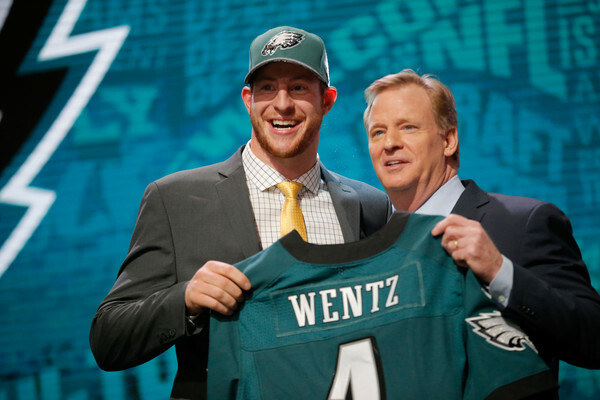 Let the Carson Wentz era begin in Philly. Expected to start behind incumbent QB Sam Bradford before Bradford was traded to Minnesota for a first round pick, #2 overall draft pick Carson Wentz will be under center for the Eagles in Week 1. Wentz, the Pride of North Dakota, will learn on the job in 2016, and will be tasked with moving the ball down the field with an offense stripped of most of its parts. Former Head Coach Chip Kelly General Managed his way out of his job in Philadelphia. His determination to sell off all of his most impressive talent at the skill positions is going to take some time to recover from. Getting the presumptive quarterback of the future was a nice start to that effort, but the cupboard is really bare at the rest of the skill positions on offense. Running Back Ryan Mathews was solid in his limited duties one season ago, but he’s only ever been able to shoulder a workhorse-level burden once in his career. Fans are correct to be skeptical that he can do anything like his 5.1 yards/carry marker of one season ago in an every-down role. Darren Sproles will be Philly’s number two. Sproles can still be effective at times in the passing game, but he’s on the decline at 33 years-old and his days as a gameplan-altering change-of-pace back are over. The situation at wide receiver is not a whole lot better. 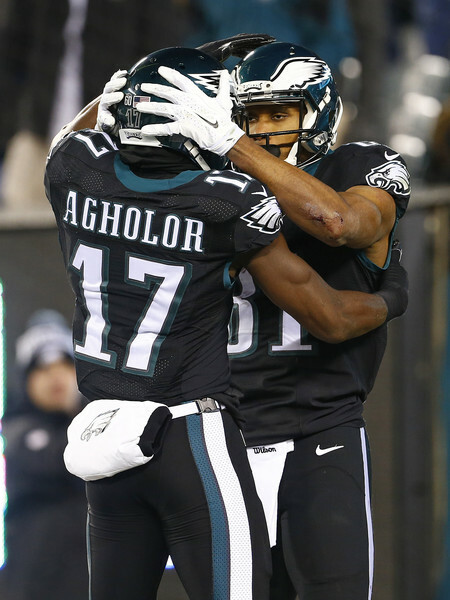 Nelson Aghalor struggled mightily in his rookie season as many receivers do. Even if one is bullish on big improvements, they would have to be significant to even place him in the top half of the League’s wide receivers. The depth behind him is Jordan Matthews and Rueben Randle, who are both questionable propositions as every-down propositions. Brent Celek and Zach Ertz are both solid tight ends, but they aren’t the terrors that can make up for the Eagles’ problems outside. New Head Coach Doug Peterson’s got his work cut out for him game planning in the passing game, as there’s no one here who can present capable secondaries with problems. The good news for Philadelphia’s offense is that the line will be quite good. Jason Peters and Lane Johnson are as good as any pair of tackles in the League at their best and the Eagles made intelligent upgrades on the interior by signing Brandon Brooks and Stefen Wisniewski. Both players had great seasons in 2015 with their previous teams and are both young enough to have plenty of good years ahead of them. If it’s true that “football is a game that’s won in the trenches,” then Philadelphia might be a lot better this season than many expect. Having just praised the offensive line, there are a lot of good things to say about this defensive line as well. Bennie Logan and Fletcher Cox are the anchors inside. Logan is very good and Cox is just beginning to realize his potential as one of the NFL’s most disruptive forces inside. Defensive Ends Connor Barwin and Brandon Graham were also reliable and effective on the edge getting pressure on the quarterback. The worrying thing about the Eagles’ defensive line is that it might not be wise to send them after the Quarterback with reckless abandon. 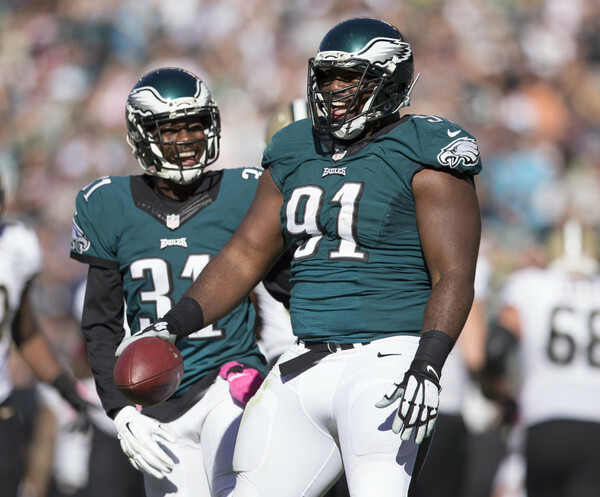 In all game scenarios that aren’t obvious passing situations, the defensive line, and Fletcher Cox (9.5 sacks as a DT last season. Wow.) in particular need to prioritize gobbling up blockers. Philadelphia needs to prevent opposing running backs from getting to the second level of the defense as much as possible, because the linebackers are a real spot of weakness here. The Eagles will be counting on Jordan Hicks to build on his solid rookie season as the other two projected starters, Nigel Bradham and Mychal Kendricks, don’t really have the look of good starting options. In the secondary, the Eagles cut the cord with Byron Maxwell and his onerous contract, proving again that defensive backs never get better when they leave Seattle and Pete Carroll’s tutelage. Thanks to the continued growth of Malcolm Jenkins and the acquisition of Rodney McLeod in free agency, the Eagles should have a very nice set of safeties this year. The problem is that there isn’t a lot to go on at cornerback in a division that features Dez Bryant, Odell Beckham, and one of the NFL’s deeper receiving cores in Washington. 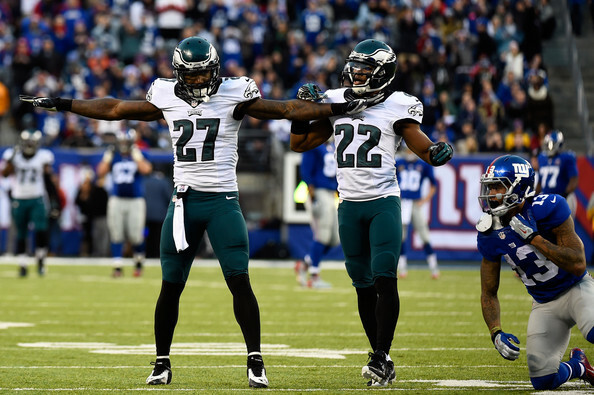 The Eagles have had problems at Safety for years and those look like they’re solved. But this secondary still has problems. Ryan Mathews remains healthy and effective behind one the League’s best offensive lines. The Eagles run a ball-control oriented offense that wins time of possession battles against their weaker opponents. Carson Wentz has his early season struggles but proves worth of the #2 overall pick and give Philly hope for the future. He has a strong second half of the year and helps win games. The running game’s success coupled with a top-10 defense that exceeds expectations is able to shock the NFL, capitalize on another Cowboys season lost to Tony Romo’s health problems, and win a terrible NFC East. An injury or two on the offensive line takes the one good thing about Philadelphia’s offense away as they rank in the NFL’s bottom 3. An overworked defense without a lot of depth gets exposed against a very tough schedule. Wentz looks like a rookie QB all year long, and with Philly out of contention early they just let him ride the season out. Doubts are cast as to Wentz’s future and the fans start walking around with batteries in their pocket ‘just in case’. The Philadelphia Eagles end up one of the worst teams in the League. The defense has a chance to be pretty good. They’re not deep and they don’t have linebackers, but with a little bit of health luck, they should be at least solid against both the pass and the run. But, there are many who are very low on the Eagles this season and it’s not hard to see why. Good offensive line play goes a really long way, but it’s hard to see where the points are going to come from here. Wentz is not yet the type to elevate the play of the guys around him and there just aren’t the guys here to keep up with most teams on this confusingly brutal schedule.It will probably be a long season in the City of Brotherly Love.